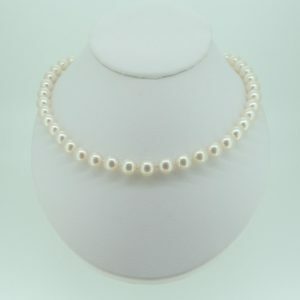 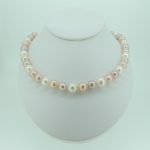 Chinese Akoya 7-7,5mm white perfectly round high luster pearl necklace is strung on silk with knots between each pearl. 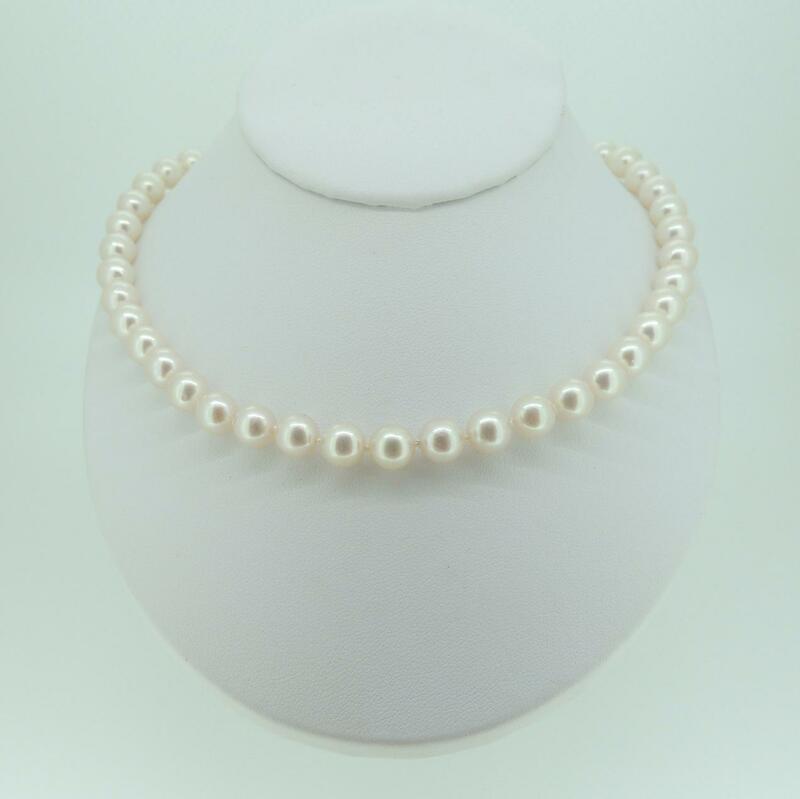 This Cultured Akoya Pearls have beautiful white and silver overtone. 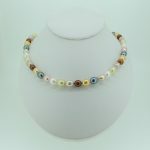 Necklace measures 17,5inches with a 9K yellow gold oval clasp. 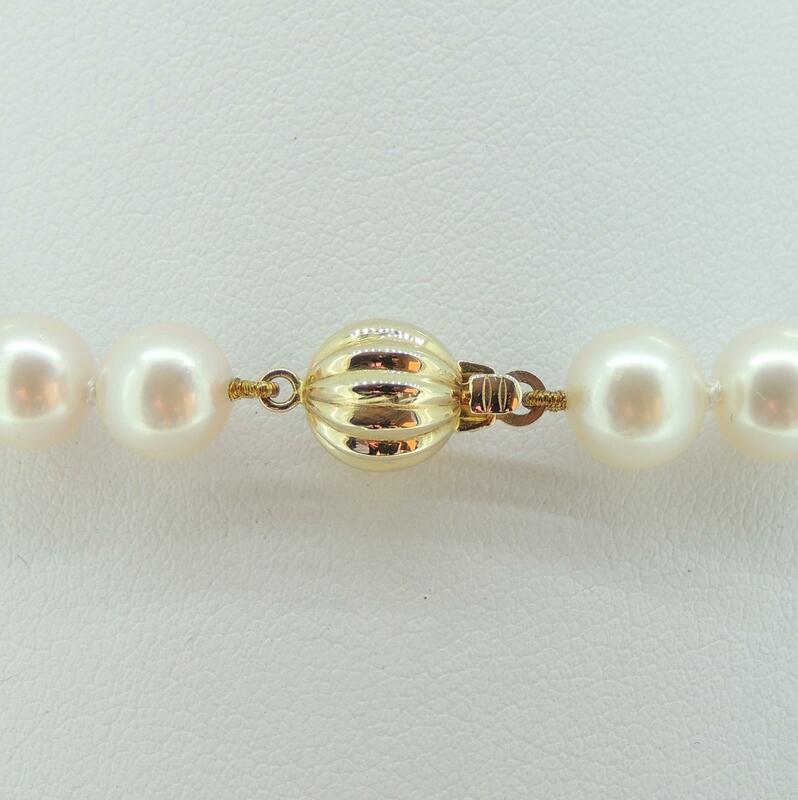 Also available with 14K white ball clasp.